Red Dead Redemption 2 is just under a month away and the reveals just keep coming. Developer Rockstar Games has released another gameplay overview, detailing some of the many things players can do in the upcoming open-world western. 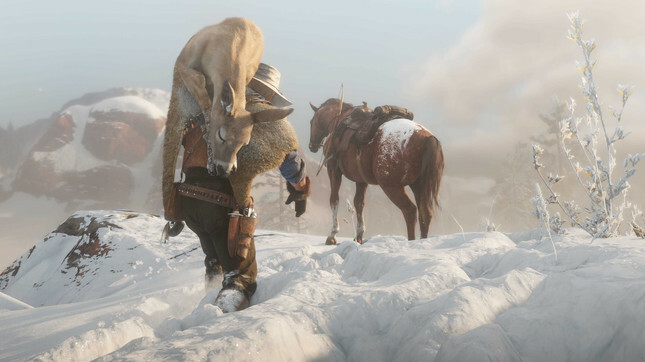 For those, like myself that loved the first-person mode in Grand Theft Auto V, it's back for RDR 2 and looks incredible. We also get a better look at the numerous mini-games and activities on offer, including fishing, large-scale heists, robberies and so much more. Dead-eye is also back and better than ever with the ability to target critical weak points on enemies. Check out the video below and let me know what you're most excited to do when the game releases! Red Dead Redemption 2 releases on October 26 on PS4 and Xbox One. We recently got some hands-on time with the game and also discovered just how much hard drive space we'll need to clear for release day. I've already booked some time off work. Tell me I'm not the only one taking a western vacation at the end of the month!